Regardless of the environmental impact of the trees that get chopped to make those disposable sushi chopsticks that more often than not end up in the bin anyway, they also tend to splinter. No-one likes picking wood shards from their tongue after a meal. 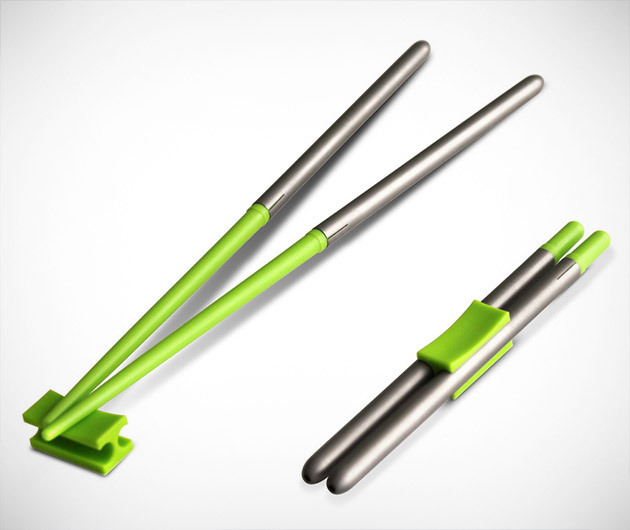 So invest in a set of Compact Chopsticks, constructed from stainless steel and plastic, they're collapsible and portable and available in a range of funky colors. Just like sushi.